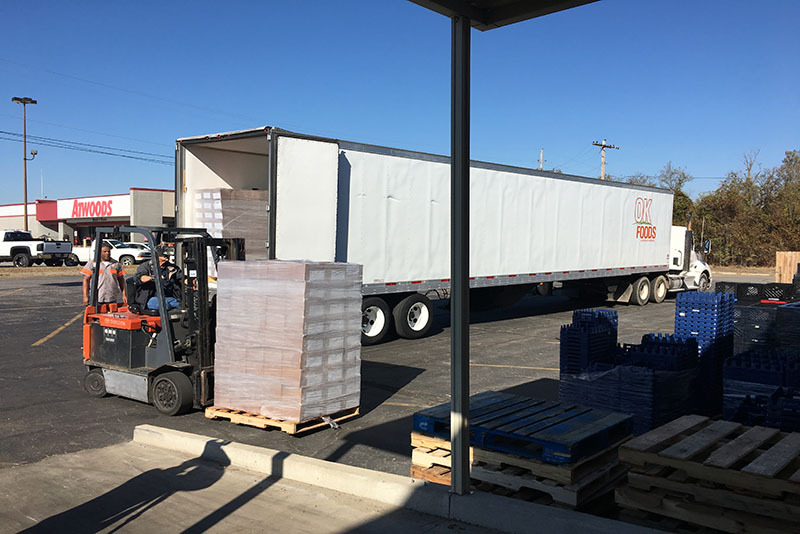 The River Valley Regional Food Bank received 27,750 pounds of frozen chicken meat Tuesday as part of Fort Smith-based OK Foods’ prior pledge to provide a half-million pounds of chicken to the food bank over five years. The first donation will help provide 125,000 meals to families in the Fort Smith region. The food bank, a member of Feeding America, is located at 1617 South Zero St. in Fort Smith. Ken Kupchick, marketing director for the food bank, showed 14 pallets of frozen meat, half cooked and half uncooked, Tuesday in a new freezer supplied by a partnership between Tyson and Walmart. Sebastian County has a child food insecurity rate of 30 percent, totaling 6,700 children in Fort Smith alone, according to Kupchick. OK Foods President and CEO Trent Goins said it is the company’s goal to “nourish the world,” but that begins by “nourishing the most vulnerable in our local community,” Goins said in a news release. Working in conjunction with the Crawford-Sebastian County Community Development Council, the food bank recently completed renovation of a former grocery store on Zero Street that allows 10 times more refrigeration space and four times more freezer space than the prior location. “The new facility allows the food bank to increase its capacity to service food pantries and feeding agencies across its seven county region,” Kupchick explained. FORT SMITH, Ark. (November 14, 2016) – For the second consecutive year, OK Foods has received the Top Hatch and Top Chicks Award. The Award was given during the 2015 Flock Awards hosted by Aviagen North America. OK Foods won the same two awards in 2014. 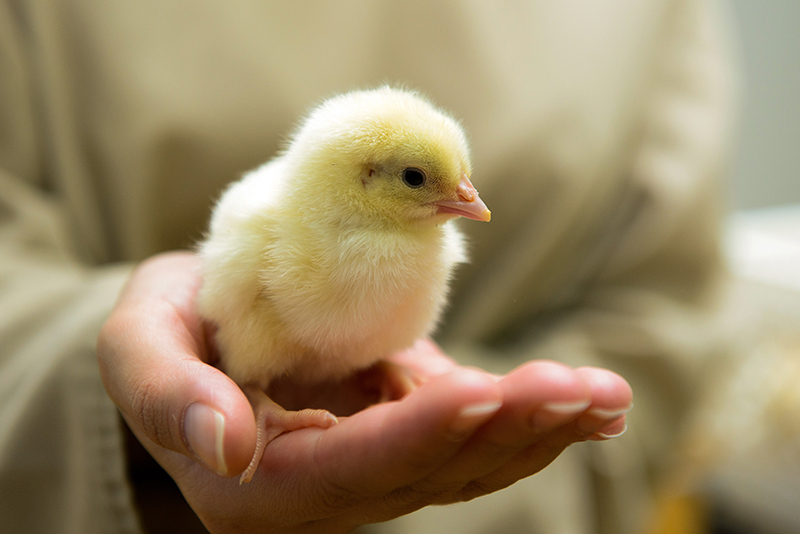 The awards recognize OK Foods as having the highest percentage of total Ross 308 chicks hatched and for the highest number of Ross 308 chicks hatched per hen housed.